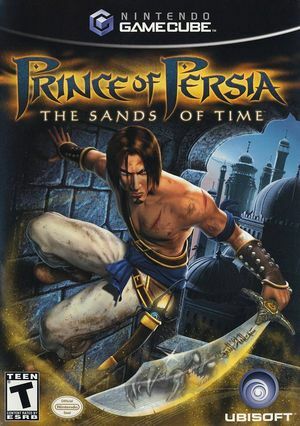 In Prince of Persia: The Sands of Time, embark on a journey of scorched sands and ancient legends. A young prince, drawn to the dark powers of a magic dagger, unleashes a deadly evil upon a beautiful kingdom. Guide the Prince on his quest to reverse the curse by using the Sands of Time, a power which allows you to erase the past, see into the future and slow down the present. Perform gravity-defying acrobatics and swashbuckling attacks in a staggering array of landscapes and kingdoms. Restore peace to the land and fulfill your destiny. Since at least 5.0-6208, on the loading screen with the Dagger of Time, the bottom half of the screen will momentarily flash purple with default settings. This can be solved by unchecking "Store XFB Copies to Texture Only". Since at least 5.0, Dolphin will throw an unknown opcode error after the final cutscene and before the credits. Disabling Dual Core solves the issue, or pressing Yes/OK on the dialogues that appear/disabling panic handlers will allow the credits to work seemingly without problems. See issue 10827. Since at least 5.0, when on the Yes/No dialogue asking to confirm overwriting a save, input becomes unresponsive and delayed, seeming to not take any inputs and then soon after flipping between yes and no rapidly. There is no known solution. See issue 10828. The graph below charts the compatibility with Prince of Persia: The Sands of Time since Dolphin's 2.0 release, listing revisions only where a compatibility change occurred. This page was last edited on 1 March 2018, at 04:51.